The number of Catholics in the world and the number of bishops, priests, religious men and seminarians all increased in 2011, while the number of women in religious orders continued to decline, according to Vatican statistics. The number of permanent deacons is showing “strong expansion” globally, but especially in Europe and the Americas, the Vatican press office reported. At the end of 2011, the Catholic population worldwide reached 1.214 billion, an increase of 18 million or 1.5 percent, slightly outpacing the global population growth rate, which was estimated at 1.23 percent. Catholics as a percentage of the global population remained “essentially unchanged” at around 17.5 percent. The numbers represent just a handful of the statistics contained in the Statistical Yearbook of the Church, which reports worldwide church figures as of Dec. 31, 2011. According to the statistical yearbook, the increase in the number of Catholics in Africa (4.3 percent) and Asia (2 percent) greatly outpaced their regions’ population growth, which was 2.3 percent and 1.2 percent, respectively. The growth of the Catholic community in Europe and the Americas was even with regional population growth, which was about 0.3 percent for both, the yearbook said. At the end of 2011, most of the world’s Catholics (48.8 percent) were living in the Americas, followed by Europe with 23.5 percent, Africa with 16 percent, 10.9 percent in Asia and 0.8 percent in Oceania. The Vatican said the number of bishops in the world increased from 5,104 to 5,132. The total number of priests—diocesan and religious order—around the world grew from 412,236 to 413,418, increasing everywhere except the Americas where numbers stayed mostly the same, and Europe, where the number of priests has gone down more than 9 percent over the past decade. The number of permanent deacons reported—about 41,000—was an increase of more than 1,400 over the previous year and a 40 percent increase over the past decade. The vast majority—97.4 percent—of the world’s permanent deacons live in the Americas or in Europe. The number of men joining a religious order showed substantial growth over the past decade in both Asia (up 44.9 percent since 2001) and Africa (up 18.5 percent since 2001); in contrast, their numbers fell in Oceania by 21.9 percent over the past 10 years, in Europe by 18 percent and in the Americas by 3.6 percent over the past decade. The number of women in religious orders has shown “a sharp downward trend,” with a 10 percent decrease in the numbers of women religious worldwide since 2001. Increases in Africa and Asia were not enough to offset the reductions seen in Europe, the Americas and Oceania. Catholic women’s orders went from having a total of more than 792,000 members in 2001 to just over 713,000 women at the end of 2011. The number of candidates for the priesthood—both diocesan seminarians and members of religious orders—showed continued growth worldwide, rising from 118,990 at the end of 2010 to 120,616 at the end of 2011. 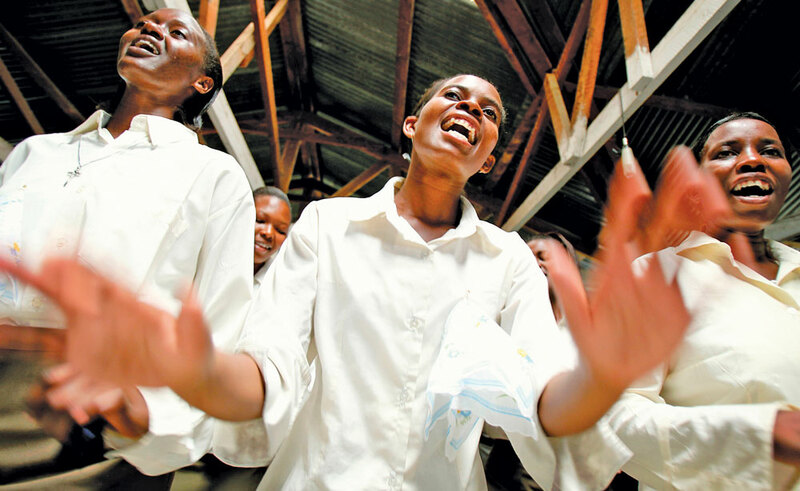 The yearbook reports that the number of men preparing for the priesthood rose more than 30.9 percent in Africa and 29.4 percent in Asia between 2001 and 2011. Numbers decreased in other regions of the world, particularly Europe, which saw a 21.7 percent drop in priesthood candidates during the same period. "The number of women in religious orders has shown “a sharp downward trend,” with a 10 percent decrease in the numbers of women religious worldwide since 2001. Increases in Africa and Asia were not enough to offset the reductions seen in Europe, the Americas and Oceania. Catholic women’s orders went from having a total of more than 792,000 members in 2001 to just over 713,000 women at the end of 2011." Based on the highly publicized Vatican treatment of American women religious going all the way back to 1979 when Sister Theresa Kane, RSM, presented a simple request to Pope John Paul II in Washington, D.C., this statistic is a surprise because.....? I wonder if the real important questions about the Catholic population are: 1. How many Catholics have left the Church by country? How many people have joined as new members? 2. How many Catholics are baptized as Catholics but are Catholic in name only? 3. What is weekly Mass attendance by country and has it been increasing or decreasing? 4. Has non-reception of sexual ethics been increasing or decreasing? 5. Is the priest shortage impacting Mass attendance in each country? 6. How will the decreasing number of women religious impact the work of the Church? 7. Has the confidence level of Catholics in the hierarchy been increasing or decreasing; does it vary by cohort and by country? 8. What specific programs and changes in the Church will resolve the Church's belief that the ills of the Western secular culture is causing non-reception? 9. How many Catholics think that clericalism and the lack of collegiality is a major problem facing the Church? 10. What is the relative education level of Catholics by country and does this correlate with Mass attendance? One might also ask how the level of economic development and related work opportunities, and the level of education opportunity are correlated to numbers of "vocations". In the third world, becoming a priest or nun has long been seen as a path to education and opportunity, as well as some financial security. Parents encourage vocations because of the positive impact it may have on the family as well as for the opportunity for their child. There are even greater opportunities for the priests who can master enough English to be recruited to fill priest shortages in the US and other English speaking countries, and for those who can handle many European languages at some level. Their standards of living in the "developed" countries are higher than in their own countries and they actively seek these jobs, because they often earn enough to be able to help their families at home. A good number of priests these days in the US are non-native speakers of English, which causes communication problems, and also not culturally sensitive to American life, which also often creates friction with the laity of their parish if they are not assigned to a parish that reflects their own culture.. I assume the same problems occur in Europe. About 6000 active priests in the US were born overseas, and about 1/4 of current seminarians in the US are not US born either. (CARA) This was often the case among immigrant families to the US before WWII - every large Catholic Irish family had a designated "priest" among their sons and a nun among their daughters. Very often these children were not given the opportunity to grow up and decide for themselves, but were shunted off to "junior" seminaries at 14 and into convents at the end of high school. But, economic development in the poor countries of the world has been quite successful in recent years, and will likely continue to improve the economies of these countries, along with providing greater opportunities for high school and even university education for their people, which leads to better jobs opportunities. Will they follow the pattern seen in the west once the majority of Catholics are educated beyond elementary school, have access to computers and other sources of knowledge and information, and are secure enough that their young adult children will be able to make their own "vocational" choices in life? These statistics are very encouraging for the Catholic Church as a whole, but also a warning to the affluent in the West who are less and less receptive to the invitation of Christ to live the faith in its fullness, and who are more and more adopting a non-Christian culture in their private and public lives. It reminds me of the parable of the wedding feast in Matt 22, where the king's invitation to his own people is spurned, and he goes out to others to fill his banquet. Europe and parts of Anglo North America could be left behind. A couple relevant anecdotes from yesterday: At Mass, there was a representative from the NY archdiocese for the Propagation of the Faith. He said the archdiocese had 330 priest from Africa, India and the Philippines in the various parishes which was the result of former support for the effort. Our parish has a priest from Kenya who succeeded another priest from Kenya. Saying the Mass was a Dominican priest who once was one of our parish priests. He is is back visiting family in the US. When he does this he comes by and says Mass and hello to those who are very fond of him. He is now stationed in Africa training priests in a seminary there. He teaches among many things, Latin. He said he had 99 seminarians in his Latin classes. 99 students in his Latin class! That's not a very student-teacher ratio. In all seriousness, I wonder about the quality of instruction (that goes for the scholarship credentials of seminary professors). First, it was classes. That is plural.Second, the priest in question has been training novices for over 20 years both here in the US and in Africa. That's correct, as we know there are a lot of different kinds of religions in the whole world and the only religion with the biggest percentage is the Roman Catholic, but no matter what religion you are from now as long as you believe, "It's not the Religion, It's the Faith" Real and Legit Products @Buy Soundcloud Likes. This article also appeared in print, under the headline "Church Enjoys Fastest Growth in Asia, Africa," in the June 3-10, 2013 issue.